With spring comes hope and eggs and rabbits. 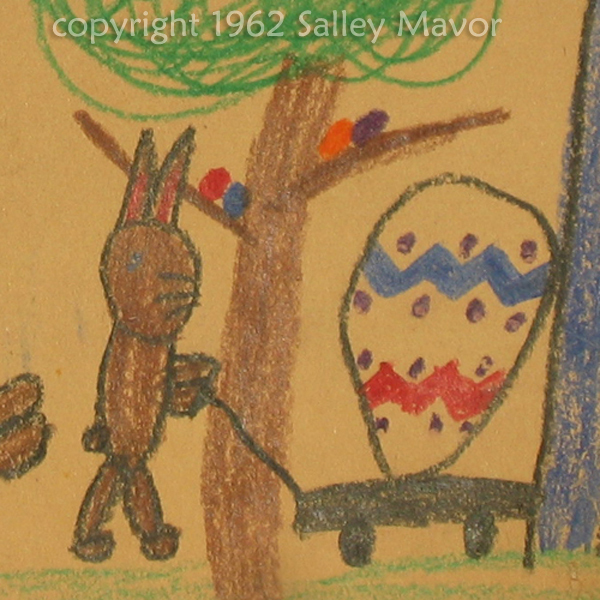 This series begins with a childhood drawing of a rabbit hauling an Easter egg in a wagon. 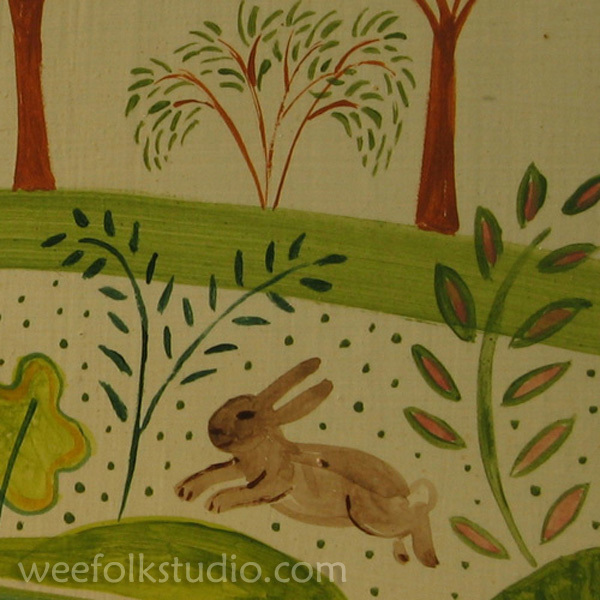 Then there’s a wool tweed rabbit from a 1986 piece called “Picking Peas” (see on earlier post) and a painted faux tile that’s in my kitchen. See all the faux tiles in another post here. A rabbit tucked in bed from my book, In the Heart, comes next. 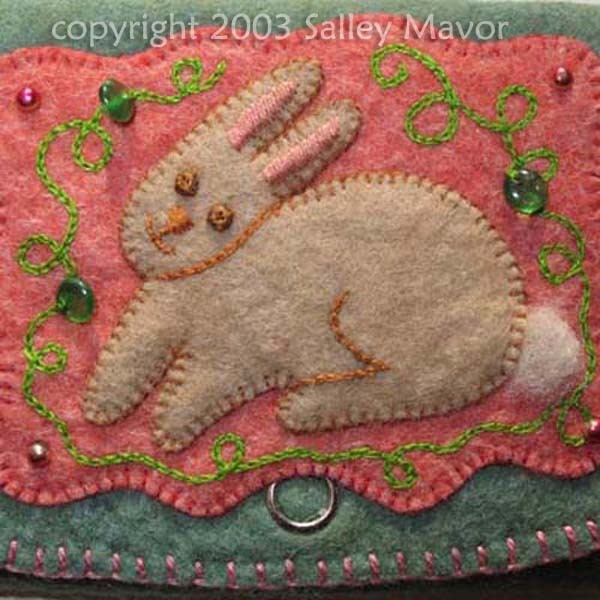 Two projects from Felt Wee Folk appear; a felt pin made with a rabbit button and an appliqued felt purse. 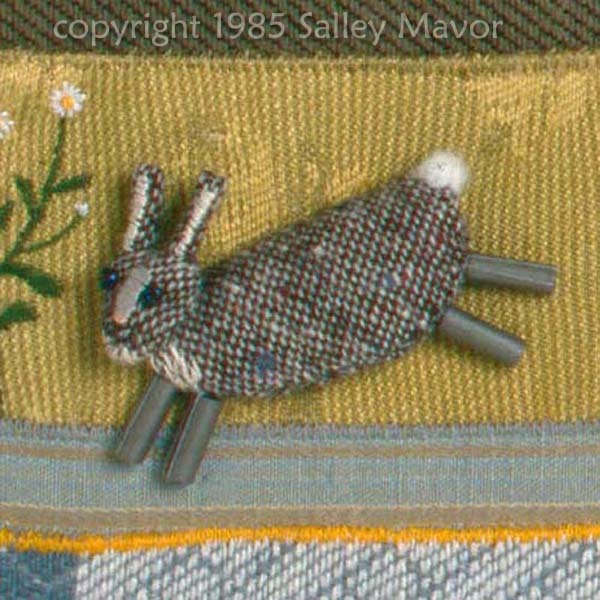 This entry was posted in Animals, Closeups, Fabric Relief, illustration, Salley's childhood art by Salley Mavor. Bookmark the permalink. Love rabbits, too, Yours are all precious–but I think that the bunny from “In the Heart” is just as cute as can be! 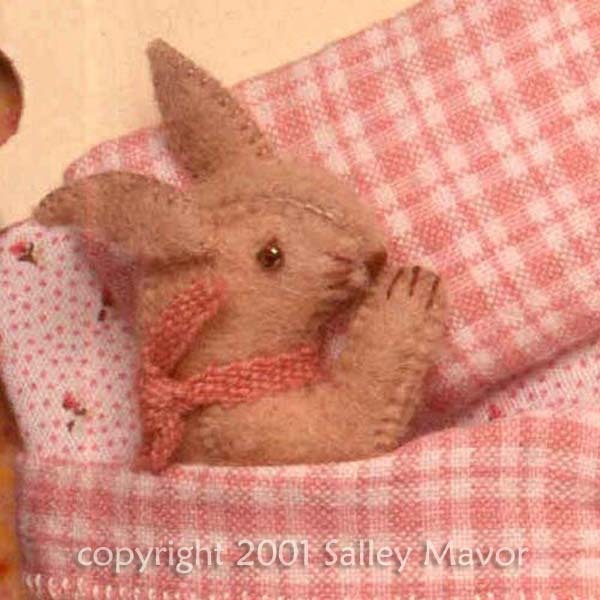 I love the little bunny tucked in bed…..so sweet!! 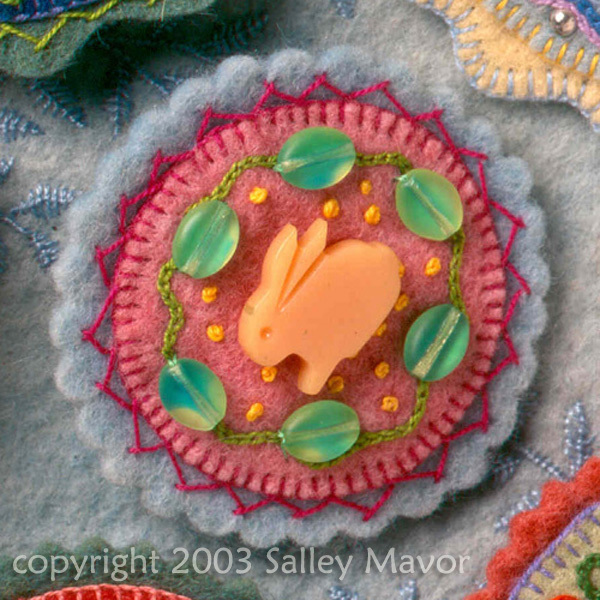 Charming bunnies from every stage of creativity!